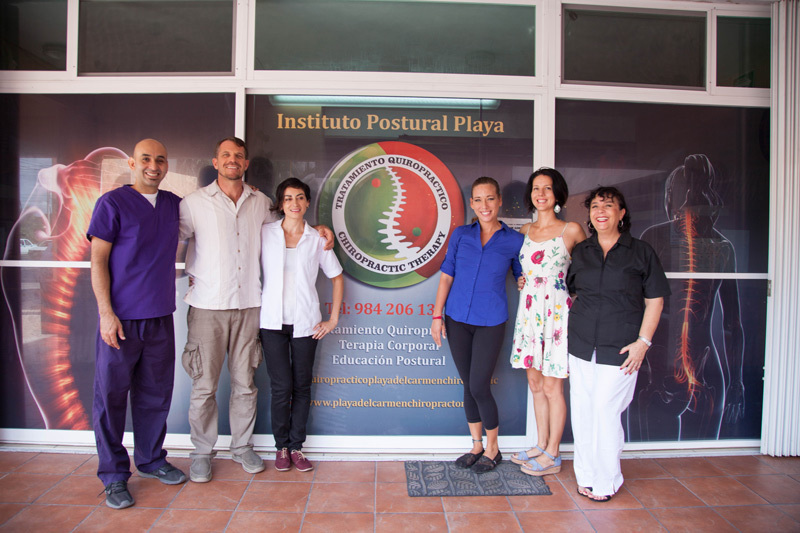 On your first chiropractic visit in Playa Posture, we make a brief analysis of of your chief complaint, take a short history, review any diagnostic studies you may already have and perform the applicable orthopedic and/or neurologic tests in order to arrive at our differential diagnosis. 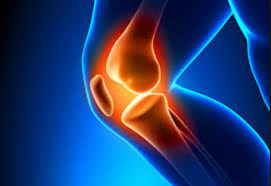 In most cases we propose a very conservative treatment plan as the patients bodies reaction to our therapy often helps us to confirm our diagnosis and dictates what treatment frequency will be the most effective on a case by case basis. Chiropractic manipulative therapy and specific deep muscle work will be applied and patient education includes possible modifications to daily routines, postural recommendations, and simple and logical stretching routines are almost always prescribed with the goal to empower the patient to take an active role in their recovery. Our therapists work in close conjunction with the chiropractors and utilize the same patient file for a true team approach to resolve each situation. Following a brief patient history we use kinesiology to determine specific points on the body to place pairs of magnets. These pairs create bio electrical fields that eliminate various virus, bacteria, fungus and parasites. This detox leaves the client feeling lighter and more relaxed. After at least three sessions Biomagnetism sessions also often resolve imbalances and other symptoms affecting the client. The Playa Posture Team has evolved to provide a complete answer to the myriad of musculo skeletal issues that have presented in our office over the last decade of service to the community. We focus on the mechanical imbalances which cause (and are a result of) vertebral subluxations in the human spine. Most problems are so chronic that the long standing muscular Trigger Points and Fascial Adhesions MUST be addressed in order to truly heal. To that end, we have amazing bodyworkers with the innate ability to comprehend the holding patterns of each individual and assist them in achieving a RESET of the neuromuscular pathways so that we may truly change faulty posture and movement patterns once and for all. The Team currently consists of Chiropractors, therapeutic massage specialists, Fascial Stretch therapists and even Biomagnetism Healer! Marcela is also a passionate athlete who practices Pole fitness, TRX, ARO, and Jumpin. As such, she is ideally suited to understand the multitude of lesions that the majority of our athletic patients suffer and assist them with her therapy and recommendations for home rehab programs. Post-Fascilitation Stretching which is so important in cases of sciatic lumbalgia and identifying and resolving cases where the strong Hip Flexor muscle PSOAS is hypercontracted and causing pelvic imbalance. Iris Campion has been a yoga teacher for sixteen years; an Ayurvedic Specialist for the eleven years; and a Biomagnetist for one year. 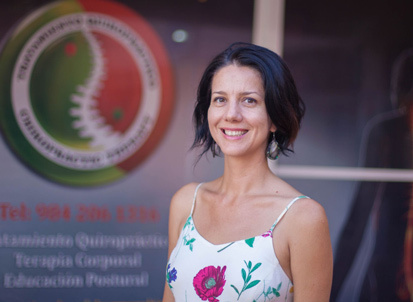 She was trained in the Bahamas from Sivananda Vedanta International in yoga, in California from the California College of Ayurveda, in New Mexico from the Ayurvedic Institute, in Playa del Carmen by Dr. Goiz from the Medical Biomagnetism Institute in Mexico City. In her free time Iris is a contemporary dancer, traveler and writer. My name is Hugo Rivera, I started in the massage world 11 years ago, i’d started when I suffered a lower back injury for lifting a dancer in a show I was a part of, I’d learned traditional massage techniques, today I continued working and learning in this great and extensive profession of rehabilitation as a neuro-muscular therapist. My favorite hobbies are music, movies and sound equipment, especially home theater systems, high definition speakers and subwoofers is something that I love, there can’t be a house without a good audio equipment . 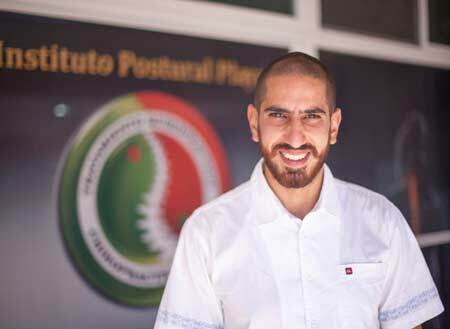 Edmond Rage is 29 years old and graduated from the University of Chiropractic in Valle Ecatepec in 2014. Upon finishing the curriculum there he decided to focus on Sports Chiropractic and studied rebilitation techniques while working with various American Football teams at collegiate, professional and National league levels.  From childhood he was always interested in the functions of the human body and dedicated 5 years to the Mexican brigades of first aid and rescue. He was diagnosed with scoliosis (spinal lateral curvature) at a young age which opened his eyes to the wonderful healing attributes of the chiropractic profession and the health benefits that it provides to people of all ages. In his spare time he enjoys practicing all types of sports, hiking and camping in nature. Like many chiropractors, Dr Joseph discovered the profession after various sport injuries while in high school. While finishing his first bachelors degree in Technology Education he continually sought relief from back problems with Chiropractic care. 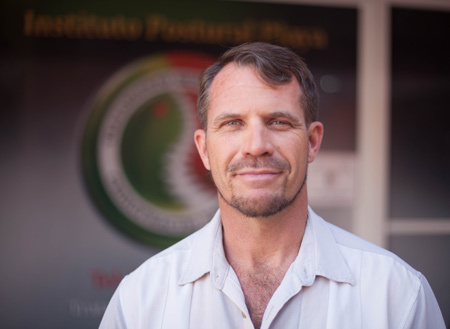 It seemed a logical step to apply his passion and experience as an educator in the health care sector and so it was that he began an accelerated 4 years program in New York Chiropractic University and graduated with honors in 1997. 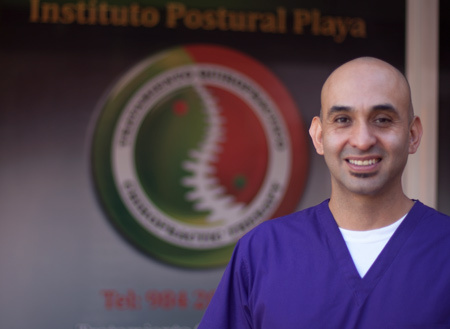 His passion for travel inspired a trip to Costa Rica and, while learning the spanish language, he began treating patients and soon had a thriving practice in the capital city of San Jose where he worked for 2.5 years. He eventually decided to take a job offer in Cancun so as to live closer to the ocean and his beloved aquatic sports. With 21 years of experience attending to all types of sports, work-related and pathological lesions he has now begun to form a team of specialized therapists with the goal of providing the absolute best care in the Riviera Maya. His hobbies include kitesurf, SUP, paragliding, snowboarding, mountain bike, diving, cooking and playing music. 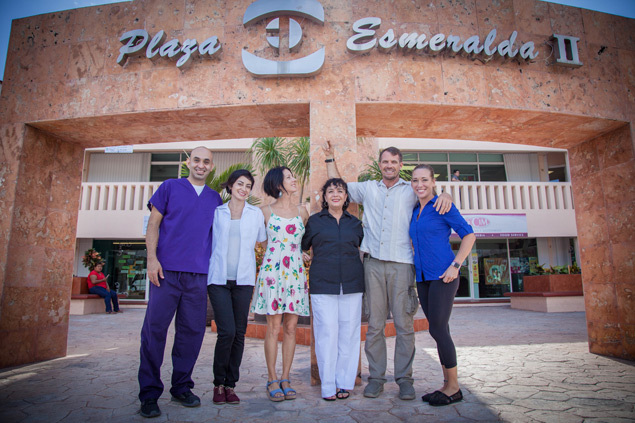 He’s continuously looking for new beaches, mountains and cenotes to explore and is always passionate about learning advanced techniques to help his patients. As a Fascial Stretch Specialist, Personal Trainer, and Wellness Coach Maggie encourages her clients to balance work, exercise, self-care and nutrition. 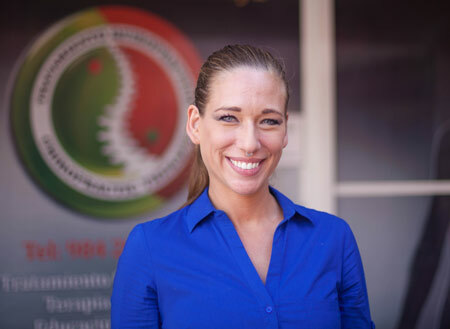 Maggie provides clients with personalized, goal oriented treatments and health plans. Recognizing the uniqueness of each client’s physique and goals, her services are tailored to individual specific abilities and goals. Customized therapy and training is diverse, incorporating strength, flexibility, endurance, injury rehabilitation, relaxation, balance, nutrition, self love, and various types of guidance. 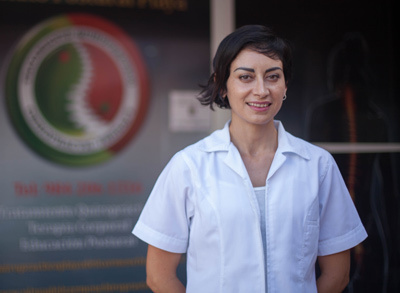 Maggie is one of only two certified Fascial Stretch Therapists and the only Fascial Stretch Specialist in Mexico, as well as one of a select few Fusion belly Dancers and Teachers of the same. In addition to Fascial Stretch Therapy (FST), Maggie has also completed Active Isolated Stretching (AIS), Soft Tissue Release (STR), Personal Training and CrossFit Coaching certifications, and 7 years of personal mentoring with a notable bodyworker in Vancouver, BC. Maggie has been studying under the guidance of some of the world’s best Modern Fusion Fusion belly Dance teachers for seven years and continues to further her training at every opportunity. I almost don't want to leave a review because this place is a hidden gem for chiropractic work. I highly recommend Dr. Will. A chiropractor that saved my vacation! All I can say is that in the past 3 years of treatment from Family doctors and Chiropractor care in Canada I have never been treated as professionally and completely as Dr. Will did in 30min. Multiple treatments, thorough explanations and practical methods I can use at home to keep my back healthy. I am sooooo grateful the team here was able to see me on same day notice. They saved my vacation and restored some lost faith with the profession. Simply incredible. A must see if you need them or are seeking to change doctors please come here - absolutely fantastic team. Je suis une adepte de la course à pied, j'ai du m'arrêter du à une blessure ( contracture du trapèze). J'admets que j'étais septique à l'idée de consulter du à ma douleur. ???? Mais des ma première visite il nots sue m'apporter le soulagement et notamment le soutien et réconfort que j'avais besoin. J'ai d'abord eu dès séance avec leur (massothérapeute) Hugo qui ma masser en douceur du à ma blessure. Apres qu'elle que séance il ma débloquer plusieurs muscle qui on contribuer à ma blessure. En parallèle j'ai aussi vue le Dr. Joseph Will qui ma mise en confiance et faite plusieurs ajustements pour aider au processus de guérison.. en moin d'un mois j'étais returner à la course à pied. Je les recommande vivement.. If you are on vacation, and looking for a good chiro, don't look further on Google...go see Dr. Joseph Will. He is a very good chiropractor and he might save your vacations ! Si vous êtes en vacances à Playa del Carmen, n'hésitez pas à consulter Dr. Will, c'est vraiment un bon chiro. À l'écoute, consciencieux et très efficace. 2 jours après son traitement, mon mal de dos avait disparu. Knee Warmup and Lubrication quick and easy.. There is no logical reason to wait for your cars engine to crack or your teeth to rot or for that cervical subluxation to cause headaches that ruin your life! Call or use our simple online booking system to request your spinal alignment TODAY. Add LIFE to your YEARS with CHIROPRACTIC!